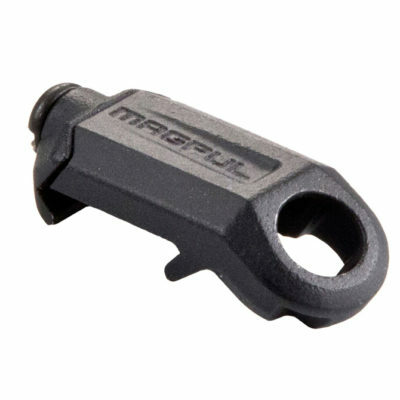 The Magpul Bolt Action Magazine Well is a drop-in solution for our Remington 700 Hunter Stock for those that are wishing to add detachable box magazine capabilities to their rifle. This listing includes two 5-RD 7.62 AC Magazines. 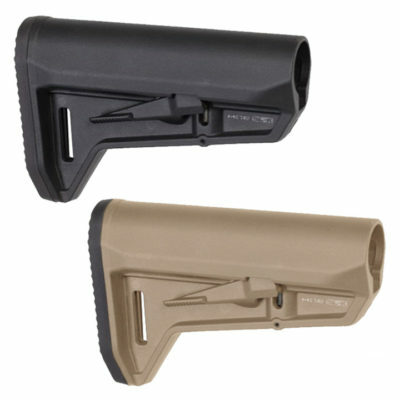 By simply removing your OEM bottom metal and our spacer from the Hunter 700 Stock, users can add this reinforced polymer trigger guard and magazine well without the need for custom inletting from gunsmiths. Designed to work with AICS pattern, short action magazines. 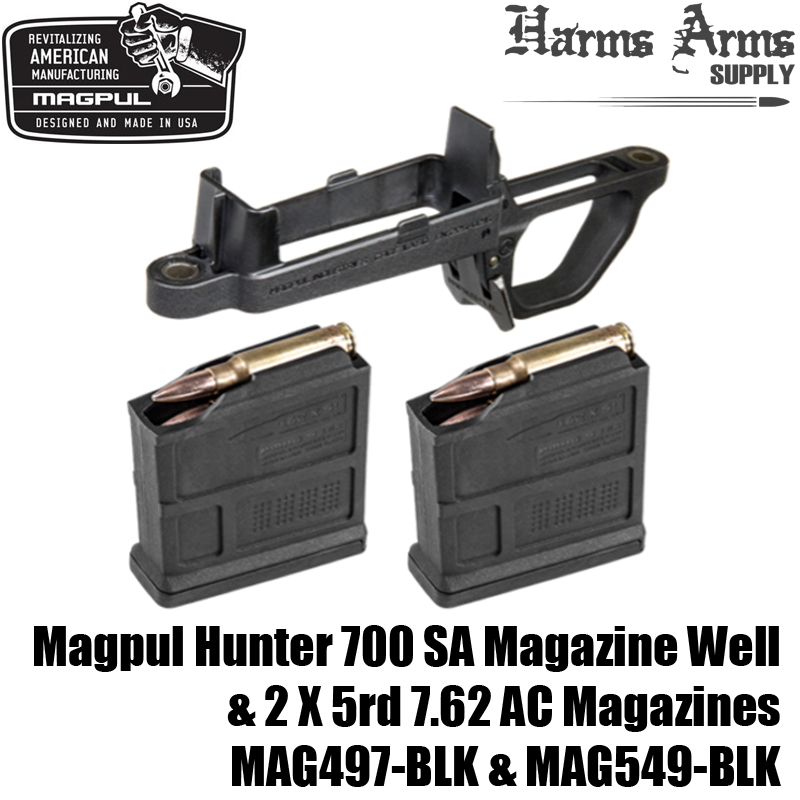 You will receive one MAG497-BLK mag well kit with magazine, as well an an additional magazine (MAG549-BLK). Weight, w/o magazine: 2.2 oz. *NOTE: Due to potential variability of receiver dimensions, gunsmithing may be required for optimal fit and functionality. 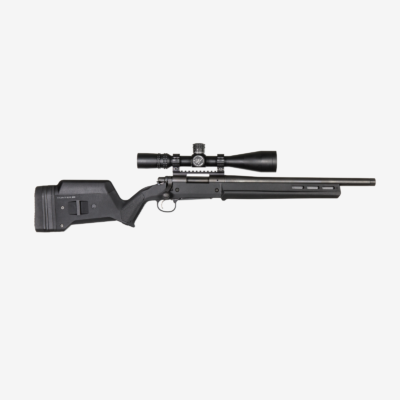 Some triggers, especially those with longer and/or straight trigger bows, may not be compatible without modification to the trigger guard.